The Tornado of May 27, 1896 at Saint Louis, Missouri. This pamphlet was produced by the U. S. Weather Bureau shortly after the devastating tornado. 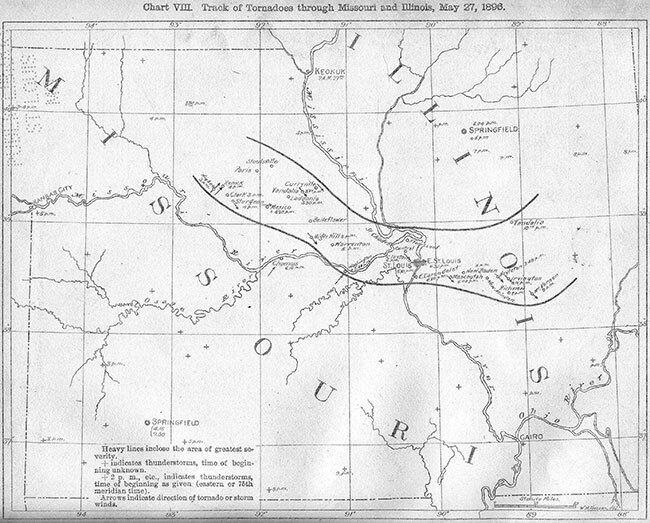 H. C. Frankenfield, the Bureau's St. Louis forecaster, describes the conditions that caused the tornado, its path, and actions. 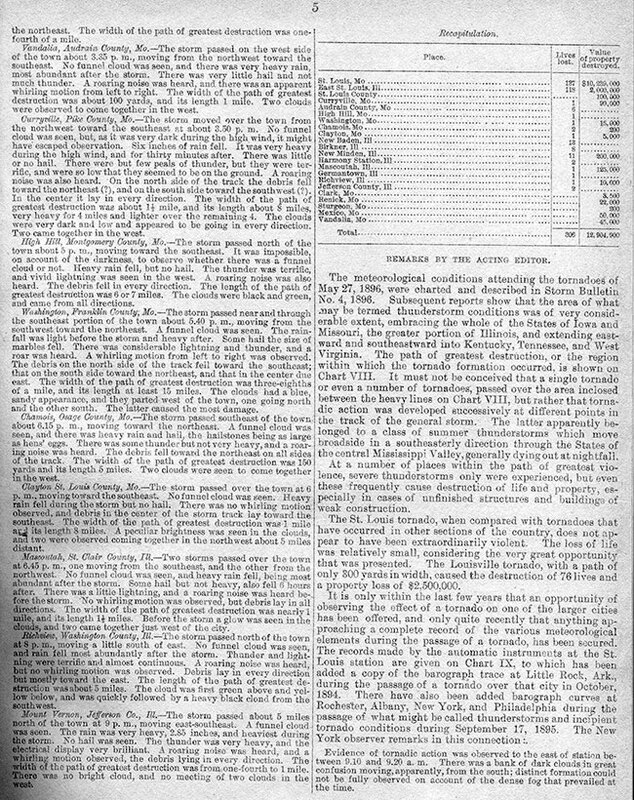 Page 5 of the Weather Bureau’s pamphlet includes a chart of the number of lives lost and the dollar amount of damage sustained at various locations along the storm system’s path. This map indicates the severity of damage and timing of tornadoes and accompanying thunderstorms. 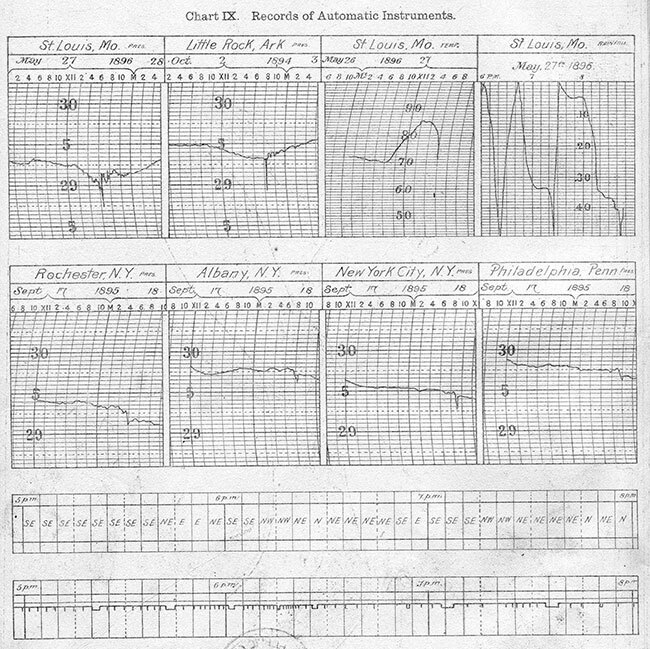 It is included in the Weather Bureau’s pamphlet in which H. C. Frankenfield describes the causes, behavior, and effects of the storm system. This chart displays air pressure, temperature, and rainfall during the St. Louis tornado compared to similar events at other cities. It is included in a pamphlet that was produced by the U. S. Weather Bureau shortly after the devastating tornado. 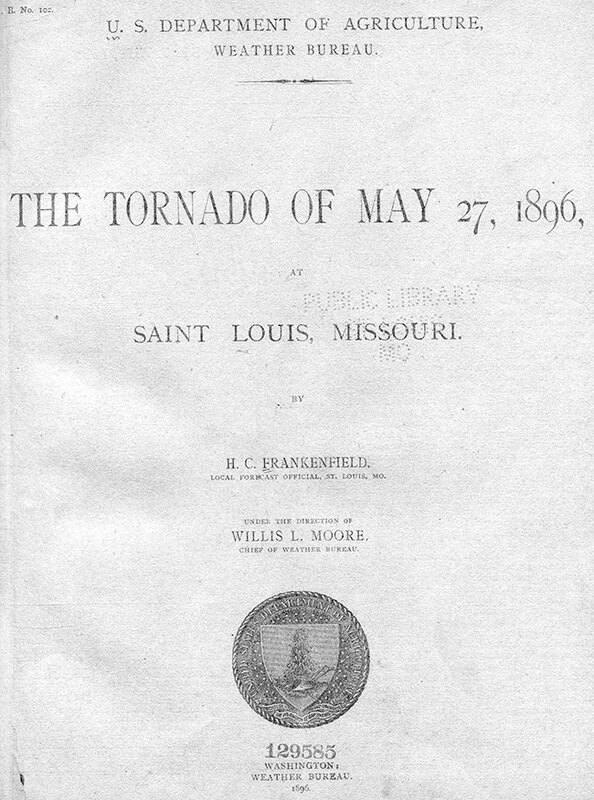 H. C. Frankenfield, the Bureau's St. Louis forecaster, describes the conditions that caused the tornado, its path, and behavior.